Back with one more product review from my favorite brand Mama Earth . Today I am going to review a different kind of product , Epsom Bath Salt . This Epsom Bath Salt is a new launch by the brand for Mama’s . 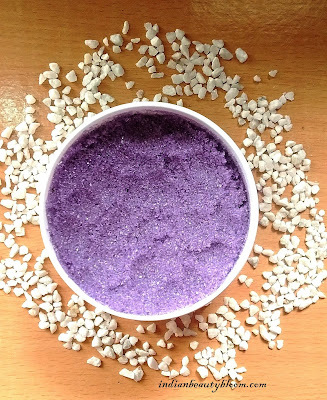 It’s a type of Bath Salt which has therapeutic uses as it helps to soothe muscle pain , relieve aching feet , cleanse pores and detoxify skin . This Epsom salt has a Lovely Purple Color which looks too attractive and good . The salt comes in a good quality plastic jar . It has a tub packaging . 1. Has great ingredient list all of which are good for skin like Glycerin , Almond Oil . 2. 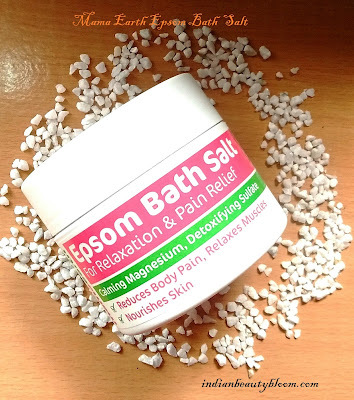 Magnesium salt helps to reduce pain . 3.Paraben , SLS , Pthalates Free product . 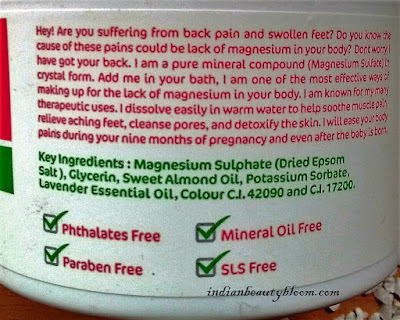 4.Does not contains Mineral Oil . 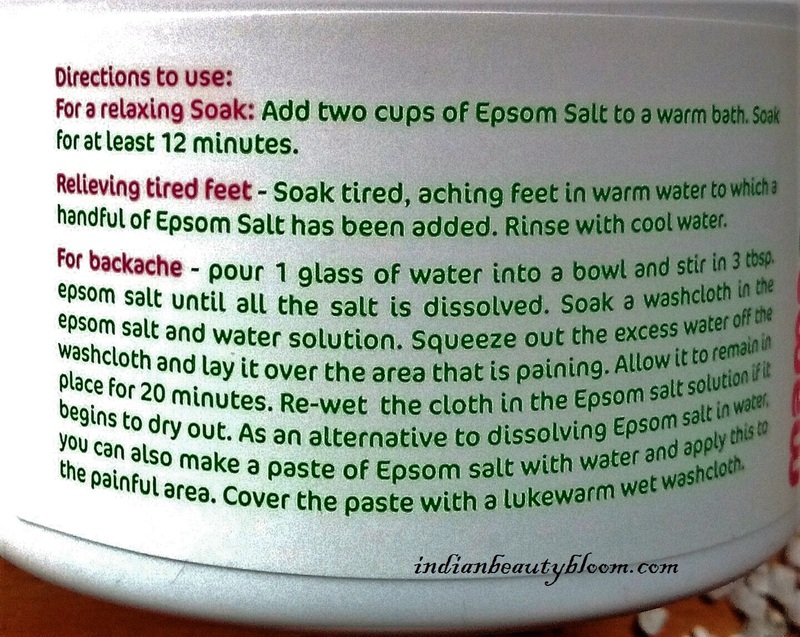 5.It can be used to relax tired feet as well as remove backache . 6. Can be used by Pregnant women as well as Mama’s . Availability might be an issue as available only on Online stores , Yet to reach Local Stores . 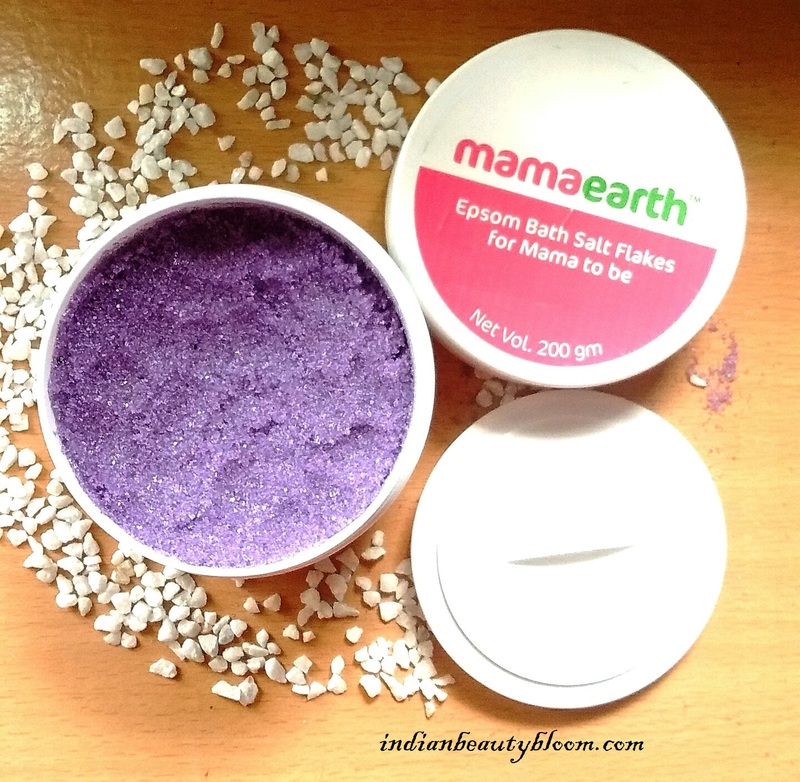 The Product claims to reduce pains in leg & feet , cleanse pores and detoxify skin . 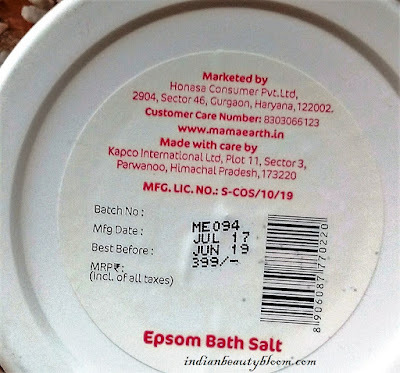 I am using this salt these days , it’s a good product . A unique Kind of product which I have never tried before . I added a heap of it to warm water and soaked my feet in it . Kept it for 10-15 minutes . It really helped to feel relaxed as it could reduce ache in my feet to a great extent . I felt better after using it . And it’s in an affordable range so one can give it a try . 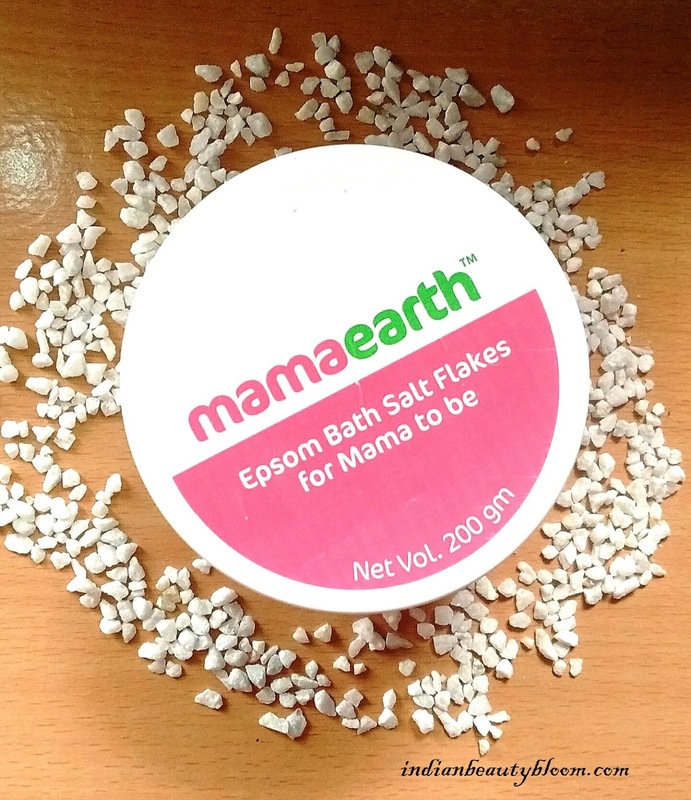 Specially for Mom’s who have a hectic schedule , it’s an excellent way to relax and reduce pain in their feet . 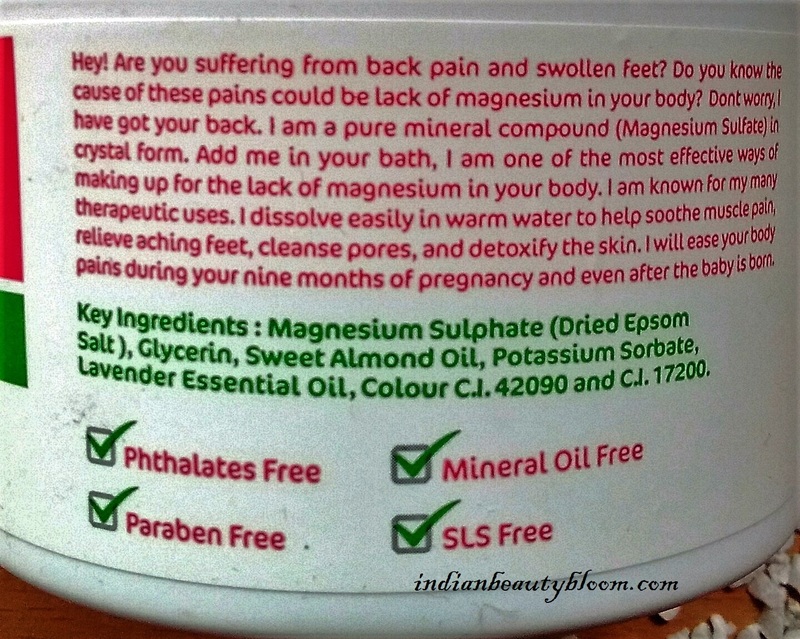 One can buy this product from online stores like Amazon & Nykaa . Hope you all found this review interesting & useful .